We are not just in this business to make money here at Coach Hire Sheffield. That's not to say we don't think about profit. However, unlike many other companies, we understand that the path to real profit will start with something else. We are out to build a brand when it comes to the service that we provide and we believe we can only achieve this by making as many positive customer experiences as we possibly can. One of the tools we use to provide this positive experience is a group transport option that is a good fit for a small or mid-sized group and that is our 12 seater minibus hire Sheffield and 14 seat minibus hire service. Being available to our customers just when they need us is one of the things that we believe can help us to become a brand that customers remember and think to reach out to when looking to hire a minibus.  You can reach our customer service people at any hour of the day 7 days a week. This will make it convenient especially when you have an emergency booking that you have to make. For the best service, we have in place a 24 hour booking notice policy. When it comes to availability, we're not just talking about customers being able to call us whenever they need us. It's also about our fleet being available to provide the required service when needed. We keep our maintenance team busy throughout so they can ensure that any issue is addressed as soon as possible. The team isn't made up of regular mechanics but highly trained engineers and technicians. The team members are also very experienced and have been doing this type of work for many years. Regular trainings are undertaken by the team so they can stay abreast with what's happening in the field. This ensures that they are always using the very best methods and tools when it comes to keeping the fleet on the road. We have a strict maintenance schedule for our vehicles and on top of that the vehicles are also checked when they come back for a trip so any problem can be spotted early. No customer leaves our gates with a vehicle that is only half ready for the journey ahead. Another way that we ensure out service is available to our customers is by ensuring there is something at every price point. There are customers who are all about the most affordable options and there are those who are looking for the executive minibus hire experience. No matter which category you belong to, there'll be something in our fleet for your group. There are even special prices for customers looking for a long term hire or would like to hire a minibus from us for multiple events. We never ignore the people factor when it comes to building our brand. We are well aware that most customers are not looking for anything short of a professional experience in everything they do. We understand the role that each employee plays in the building of our brand here at Coach Hire Sheffield and we are keen to ensure every person our clients deal with is a professional. All our staff members are trained on how to interact with customers so as to provide a better experience. Reach out to us today to work with a professional brand.